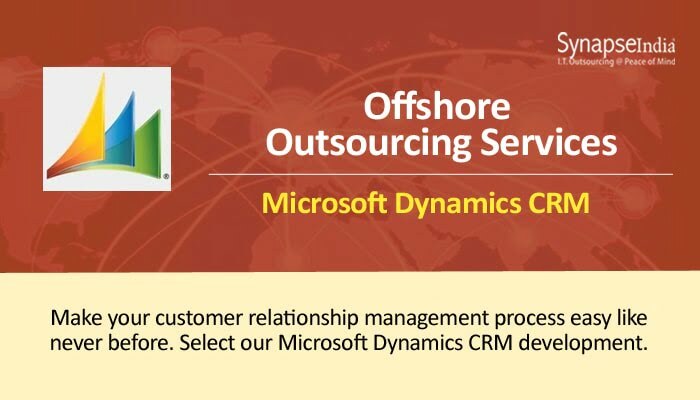 SynapseIndia has been a trusted brand when it comes to offshore outsourcing services for solutions like Microsoft Dynamics CRM and many more. The company offers a host of software design, development and enhancement services. It harnesses the best software development skills in the industry to deliver world-class software solutions. Technology has become the most critical element today's business landscape – at least for those planning to grow in a competitive market. The increasing popularity of service categories like software-as-a-service (Saas) and platform-as-a-service has shifted the dynamics of the IT services industry. Today, even new business operating from a comparatively smaller office can leverage the advanced tools and technologies. All thanks to the IT outsourcing services industry. SynapseIndia has a substantial software development portfolio that encompasses virtually every industry – ranging from clothing and retail and to healthcare to education. The company is constantly focused on delivering innovative services while bringing novel development ideas. The developers at SynapseIndia adhere to coding standards followed by leading software companies across the world. Microsoft Dynamics is a line of enterprise resource planning (ERP) and customer relationship management (CRM) software applications. Customization service for changes in the layout of existing Entity Forms, configuration of workflows according to clients' needs, migration & upgradation to the latest version of Dynamics, and integration of third-party applications. SynapseIndia offers a vast range of CRM development services according to business-specific needs.